What are the Guilford College school colors? The short answer: Crimson and Gray, in use for well over a century. Guilford, like most colleges, started using "school colors" upon formation of their athletic teams, with ours occurring in the late 1800s. "Randolph-Macon invaded the Guilford campus for the opening game of the year for the Quakers, and the Crimson and Gray warriors celebrated their return to the home grounds with the first victory of the year." Over time it's gotten blurred. If you ask a host of alumni about Guilford school colors, you might get a number of responses: red and gray...maroon and silver...burgundy and ash...cardinal and slate...garnet and...well, you get the picture. 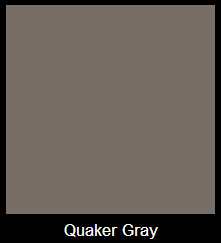 When I was at Guilford, the crimson was a deep red, and the gray was all over the map, from a dark "Quaker Gray" to a light silver-gray shade. This brings up the consideration that "official" school colors can change over time for a myriad of reasons. For example, when my father was at the University of North Carolina in the 1950s, "Carolina Blue" was a very light "powder blue." As more games were televised in the 1970s, that light blue faded on the TV screen, leading the school to issue a darker hued version resembling turquoise! Today, it's somewhere in the middle. The variations of Guilford colors are perhaps influenced by the number of manufacturers licensing school apparel. The campus bookstore carries a wide selection of merchandise with reds and grays in a multitude of shades. Two of my sweatshirts are fire engine red, another being the more traditional dark crimson. Accent colors of white, charcoal gray and black are also prevalent. Back to brass tacks, Guilford College has always had two named school colors: Crimson and Gray. What shade of crimson? 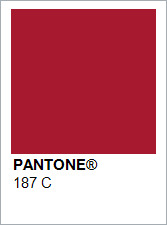 Well, specifically Pantone 187 C, which the marketing department calls "Guilford Maroon." Regarding crimson, Wikipedia lists 18 variations and describes it as, "a strong, bright, deep red color combined with some blue and/or violet, resulting in a tiny degree of purple." The shade we use is akin to Harvard crimson, and the similar Alabama crimson. (Our football helmets mirrored the Tide's for many years...plain, crimson red, with numbers on the sides.) The related tone of cardinal also resides in the Guilford color spectrum.  The style of gray typically associated with Guilford is (specifically) Pantone 7530 C, a medium-light gray (on the left). Nathan the Quaker sporting the school colors. So, short of using the marketing jargon of Pantone this or that, the answer to the question, "what are the Guilford school colors?" is the simple and elegant, "Crimson and Gray."